The beauty of woodworking is found in its capacity to get us in touch with ourselves in a largely forgotten way. In the past, using one’s hands was simply an aspect of most people’s livelihood, and with the dawn of modern technology, the necessity to use one’s hands to create has gone by the wayside. That change has coincided with losing a core part of our identity as physical creators. The fact is, we feel most in touch with ourselves when we use our bodies and make something. Our founder Priscilla Van Houten realized what she was missing out on and sought to create a space for others to experience the joy of woodworking. The DIY Joint exists in Hoboken, New Jersey, so that people from all around can rediscover an integral part of what it means to be human; to make something with our hands. 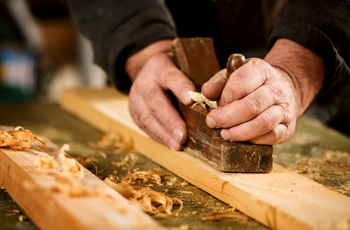 At The DIY Joint, we offer a variety of woodworking courses which are open to all skill levels. One of the most exciting aspects of these classes is that each woodworking class is guided by craftspeople who come from a variety of trades. One class will be led by a woodworker, another by a furniture makers, and even contractors or do-it-yourself enthusiasts. We also offer open studio time for those looking to refine their craft without the structure of a specific project. With a wealth of space and woodworking tools, our studio provides a great place for private parties as well. We love to work with groups who want to work on a singular, custom project. We will provide all tools and materials, so all you really have to do is to show up, learn, and make something awesome! Whether you are thinking for birthdays, corporate events, a surprise, or a bridal party gift, The DIY Joint represents a unique option for a group to learn something new about themselves. Now that we’ve highlighted a few components that people love about our setup, let’s dive into today’s topic; woodworking tips for beginners. We are able to provide our students and members with a great platform to understand woodworking and to develop their own craft with our studio and classes. But we seek to go beyond that, to be a resource for those who are just getting started but who could use some guidance. 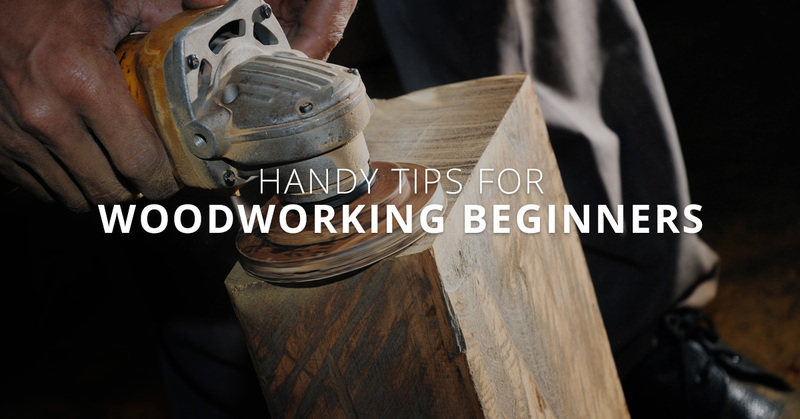 To that end, read on if you are interested in picking up some tips of the trade when it comes to woodworking for beginners. You can find coconut oil anywhere these days, and for good reason. Every day, you might see a new article describing how coconut oil has been studied for its ability to clean teeth, regrow hair, or improve skin health. Coconut oil and old wood is no exception to this trend. A great way to refinish high-quality wood that has gone by the wayside is to use coconut oil. You will want to remove any and all nails from the surface of your wood, and then wash the table (or whatever your piece is) with soapy, warm water to prepare it for the oil. Whereas some use vegetable oil for rehydration purposes, coconut oil works much better, and even gives your piece a refreshing aroma as well. Once that process is complete, we’d recommend applying a thin layer of furniture wax to keep your piece looking wonderful! Using a bandsaw can be a daunting proposition for someone who isn’t a woodworking expert. But once you get the feel for what you are doing, it’s really not too difficult to be proficient. This is most commonly used for those who want to cut a good deal of curvatures within our projects, and those same people will tell you that it is a night and day experience compared to the more clunky jigsaw. A bandsaw has a thick blade which can vary in width, with the most popular size being ⅛”. The wheel sizes go up to 14”. But to best understand a bandsaw, you should experience one in person, say, at The DIY Joint, for instance. But for the purposes of this post, feel free to search for an image of a bandsaw to help you visualize this discussion. It’s a good idea to have a range of blade sizes because no two tasks require the exact same kinds of cuts. The three primary blade choices we recommend are the standard blade, hook tooth blade, and the skip tooth blade. Each have their own advantages and purposes. For instance, the standard blade is only ⅛”, so it is ideal for cutting curves into your piece. The hook tooth blade is ¼” thick, so it is more effective for cross cutting boards. The skip tooth blade is ⅜”, making it ideal for cutting veneers. When you use a bandsaw, make sure you aren’t trying too much too quickly. Follow the mechanism’s manual, and respect the machine by being methodical about your understanding of the saw. Another tip is to make sure you don’t cut right along the marking while you are cutting curves. Go slowly to ensure precision. And always be aware of your hand’s location in reference to the blade. Finally, have fun! Once you get the hang of using a bandsaw, it will open up a new world of woodworking ability to you. While The DIY Joint is happy to provide all tools and wooden materials for our woodworking courses and other projects, you may find yourself wanting to become self-sufficient in the future, so you can work independently on your own woodworking projects. If you are at the lumber yard and don’t know where to start, we can help. First, figure out what you clearly don’t want to buy. Eliminate any twisted or warped boards from contention. It’s likely these old boards will continue become deformed as they age and weather. Next, select your wood by examining the color and grain. This isn’t the easiest task because often dust, dirt, and debris inhibit getting a clean look at the material. Consider asking an employee at the yard if you can use a block plane to examine grain details that can be found underneath the saw marks from when the wood was previously cut. A final piece of advice is, no matter what project you have in mind, to feature the personality of the grain of your selected wood. Don’t be afraid to show off the unique characteristics of your wood, such as a knot where you may not expect it. It gives a genuine, rustic look, and will save you the peace of mind by not trying to achieve perfection. At The DIY Joint, we have a passion for allowing others to rediscover something beautiful about themselves. It’s amazing to hear how making something tangible can bring people confidence and passion. And while learning woodworking isn’t a life changing experience for everyone, it certainly can be a worthwhile, fulfilling experience. If you are interested in learning how to make a picture frame, a plant stand, or even a free-form carving-based mirror, check out our selection of woodworking classes here. We even have a basic woodworking class for kids! Space is limited this summer and fall, so sign up soon.